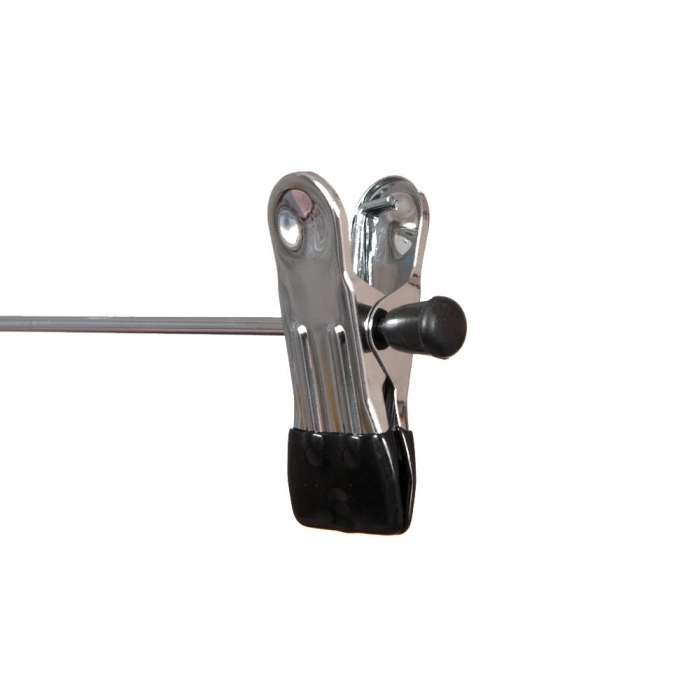 Chrome adjustable sliding peg clothes hangers 30cm Wide (300mm) with metal non-slip black rubber ends. Also available in 40cm (400mm) width size. 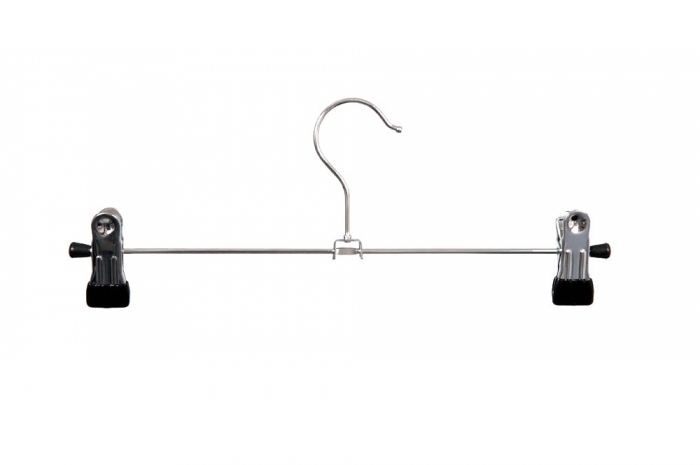 Perfect for the retail environment and sold to retailers throughout the UK and equally suited to the chrome adjustable sliding peg clothes hangers are ideal if you require a clothes hanger for garments such as skirts and underwear that will securely hang your clothes without marking due to its non-slip rubber ends.